Fishing the chalkstreams can be something of a roller coaster: one day you are a master of the universe as every fish falls to every fly you tie on. The next all offerings are ignored, however deft your casts and nuanced your fly selection. All that said there is a cadence to the year as the seasonal hatches come and go, so in my month-by-month advice I have laid out the essential elements as spring turns to summer and thence to autumn. 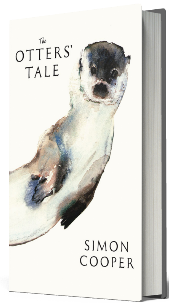 The quotes for each month are taken from Dermot Wilson’s Fishing the Dry Fly. It was originally published in 1957 with the revised edition issued in 1970 whilst Dermot was living here at Nether Wallop Mill. It remains one of the best books ever written on the topic. 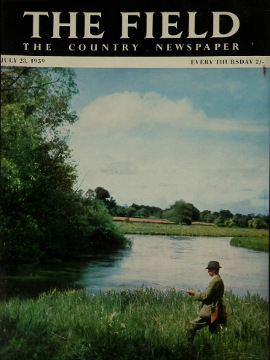 Dermot is pictured here for the cover of The Field on the River Itchen in June 1959. Take your April days as you find them; some will be great, with trout eager to feed after a long winter. Always dress for the worst weather, but hope for the best as April is a dry month. The best fishing will be from 10am-3pm. Click here for more fly and fishing advice. 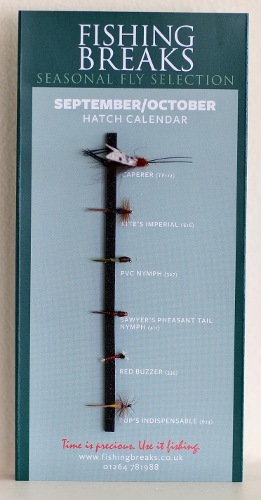 A month of madness for fish, fly and fishermen. Count on the Mayfly hatch in the last two weeks in May and the first week in June. 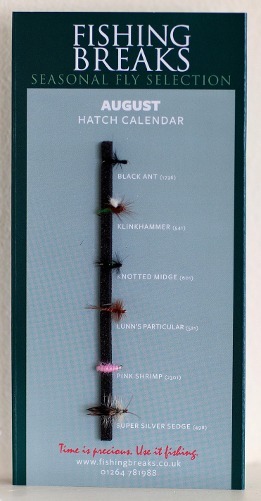 Have some Black Gnats at the ready for when the trout ignore all other offerings. Click here for more fly and fishing advice. Take little notice of those who believe trout stop eating after the Mayfly. How long could you go without eating, even after a gigantic feast? Just a few days I would venture. Trout are no different, but they certainly won’t be suckered by a size 8 Grey Wulff once the Mayfly hatch is over! Click here for more fly and fishing advice. Put the distractions of Ascot and Wimbledon behind you and experiment a little with your fishing. A lighter outfit for better presentation, flies so small they drive you mad when tying to tippet or some novel patterns perhaps? Check out the morning cobwebs to see the hatches. Click here for more fly and fishing advice. Avoid the sun and follow the shade – good advice for fish and fair-skinned fishermen. 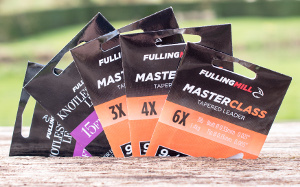 August is the month that defines sight fishing when stealth, patience, concealment and presentation are at a premium. Click here for more fly and fishing advice. September is the month the locals go fishing; that in itself is a clue to how good the final full month of the season is. It is you against the wiliest of trout. The ones that have seen countless flies, beating the odds to get this far. But with a slight hint of autumn in the air they know they must feed ahead of the coming winter. That stacks the odds ever so slightly in your favour. Click here for more fly and fishing advice. How do you define a fishing season? By the biggest fish or the best bag, perhaps. Probably not. Looking back it will be when nature and man comes together. That glorious brief moment in time when the world shrinks to just you and the river, when time stands still and the rest of the world simply does not exist. Click here for more fly and fishing advice.